Print Stations are located on the 1st and 7th floors of the library. Anyone with an active LEA account can print in the library computer labs up to 1,000 pages per semester. Student print quotas are set at the beginning of each semester (Fall, Spring, Summer). 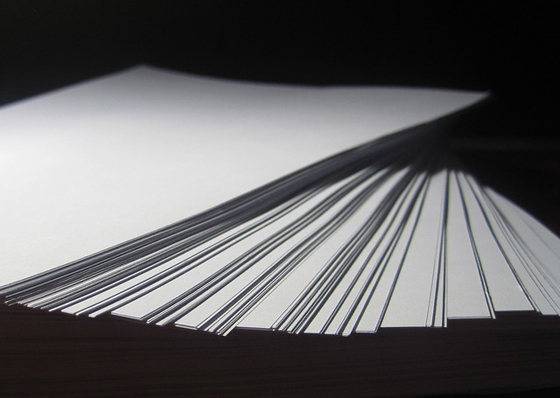 Each page printed subtracts 1 page from your quota. Print quotas are reset the day the new semester begins. Any prints left on your account, including those purchased, will expire at the end of each semester. Prints cannot be made from personal laptops or other wireless devices. Color prints are available for $1.00 per page at the Circulation Desk. Additional prints can be obtained by purchasing a PaperCut card at the Circulation Desk. A PaperCut card costs $10 for 200 additional prints. PaperCut cards are cash only. Save your receipt. After you purchase a PaperCut card, login to your PaperCut account. Select Details in the dialog box to login. Select Redeem Card. Enter the card information from the receipt given to you by the Circulation Desk staff. Select Redeem Card. Log in to your PaperCut account. Enter the number of pages you want to transfer. Enter the other student’s LEA user name. At this time refund requests are being handled by the Reference Office in Room 108. If a print job was canceled, or there was an error at the printer and your job did not print, your account will not be charged. You printed from a computer without logging out the previous user and without restarting it with your own login. The print jobs will be available under that person's login instead of yours. You tried to print over 100 pages at a time. The job will not be sent, and the error message that flashes on the desktop looks a lot like the success message. You recently reset your LEA password. There might be a lag time before the print station recognizes the new login even if the computer accepted it. A scanner is located behind the Circulation Desk. Items that need to be scanned for accessibility purposes do not incur a fee. Scanned documents can be emailed or saved to a flash drive. Scans are $1.00 per page and are cash only. Several copiers are located on the 1st and 2nd floors. Users who need assistance with the copy machines should request help from the library staff. Photocopies will be made for the user in accordance with copyright regulations. Materials that need to be photocopied for accessibility purposes will be made free of charge. Copies are cash only. A fax machine is located behind the Circulation Desk. International faxes are not available. You will receive a receipt of payment to present at the Print Station (past the elevators and through the glass doors). If the print station assistants cannot successfully transmit your fax, your money will be refunded when you return to the Circulation Desk with your receipt. Faxes are cash only. An ATM is located by the Reference Desk on the 1st floor. Money can be taken out in increments of $10 and $50. If you are not a Cardinal One Account cardholder, you may receive a surcharge. A change machine is located on the 2nd floor.